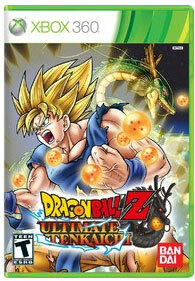 The latest EXTREME FIGHTER has arrived on the XBox 360 with Dragon Ball Z: Ultimate Tenkaichi which is an over the top fighter based on this popular cartoon universe. 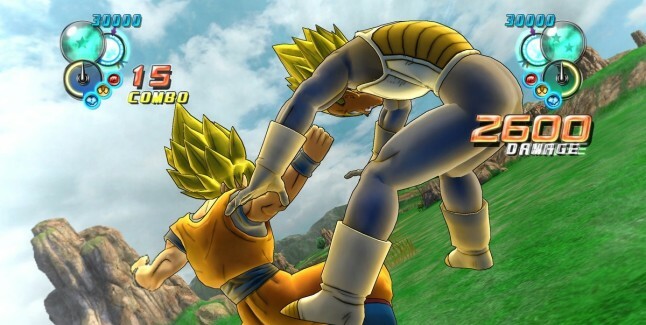 Like the previous instalments, this current Dragon Ball Z game allows players to engage with characters such as Goku as they perform some outrageous martial art manoeuvres that would not look out of place in a Hong Kong action movie or particularly, an episode of Dragon Ball Z. From quick fights to story modes, Dragon Ball Z: Ultimate Tenkaichi has definitely been aimed at the fan of these characters. Even so, if you have never played the game... you might be scratching your head at some of the outrageous combo but the gameplay isn't that bad for a non-fan. As mentioned, the gameplay includes a story mode with some fun Dragon Ball Z inspired cutscenes and some very cool boss battles that are almost on the same epicness of Final Fantasy or Shadow of Colossus. These battles also include a quick-time event to finish them off and needless to say, if you miss it, you basically need to start again to get to that point. It's a classic game mechanism. 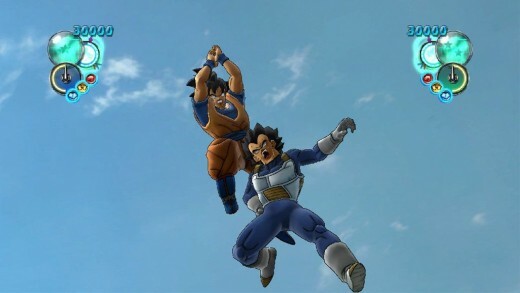 There is also a "hero" mode that allows you to create your own Dragon Ball Z character and move through the ranks of this fighting universe which once again is for the fan of this universe. With hero mode, you basically need to fight and fight in order to unlock additional moves for your characters. It's almost like an RPG at times, especially at how the progression moves for your character. There are also quick games and even online play. Online via XBox Live allows you to fight real opponents and from my experience, some of these online players are quite challenging but it does extend the gameplay. The story or "lack of" involves around a group of Dragon Ball Z concept from the movies and the TV series which generally involve the player go here and fight this. Although this as clichéd as they come, lovers of this franchise will be pleased with the amount of fan service available to them that has more Dragon Ball Z references than you can poke a stick at. As mentioned, Ultimate Tenkaichi is a fighting game and opposed to games such as Tekken or Street Fighter, this game has been made easier given the intended target group. Although you can perform some amazing moves and special combos, there is an element of button mashing, however for those that master the control system, it does improve what your character can do when engaged in a battle. There are some cool special attacks added to the gameplay and when your health is quite low, you can access your spirit energy which creates quite a spectacular cinematic of your attack. 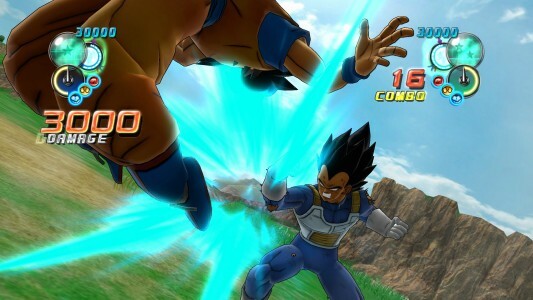 As you use the 360 controller to navigate in this "3D" world, your players have access to a wide gamut of attacks from super speed attacks to some truly devastating special moves as you literally kick the absolute Dragon Ball Z out of them. I love the fast attacks that this game has as it makes the gameplay quite unique and fun, albeit a little unrealistic to the amount of damage that you give your opponent. To unleash your super attacks, you can basically need to continue tapping the button. However where Ultimate Tenkaichi differs from its predecessors is with the inclusion of a special attack called clash which is kind of like a rock, paper or scissors. In order to unleash an attack clash, you need to successfully land a string of attacks on your opponent which pauses the action in the game. From here, you are a given a choice of how the battle will proceed but there is a small formula involved here. If you both select the same option, your foe breaks your attack and performs a counter manoeuvre and combat resumes as usual. However if you both choose separate options, you win the attack and you unleash a chain of deadly attacks. There is also an element of flying involved in the game which does create some interesting strategically attacks that also include ki blasts. But of course with all these attacks, you do have access to some decent defence mechanisms which will take a little time in mastering. 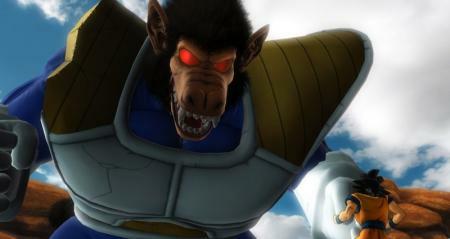 All in all, it's a way over the top fighting game that Dragon Ball Z is known for. With graphics and audio, the game is almost a carbon copy of the previous instalments that is oozing with Dragon Ball Z references and some very cool anime inspired special effects. The developers should be awarded on their accuracy of creating such a colourful fighting game based on this cartoon universe. Voice acting is over the top as are the sound effects and sometimes annoying and repetitive action music. Thankfully there is an option to turn some of this off. With gameplay, graphics and audio, Dragon Ball Z isn't the most original game but for fans of this genre and universe, it's definitely something to investigate. At the end of the day, Dragon Ball Z: Ultimate Tenkaichi is an interesting addition to the franchise but when it comes to originality, the game is a little lacking. The fighting mechanics are fun but they do become repetitive, especially when fights are taken to the skies. But it's good that the developers have tried something different and this works with the fun boss battles but sometimes this feels a little askew. None the less, if you're a fan of the series, I'm sure these nuisances more than outweigh the issues that we felt. One glimmer for non Dragon Ball Z fans is that the game is still quite accessible in terms of playability but you might have a little hard time getting your head around the story and characters... like what or who is a Goku?